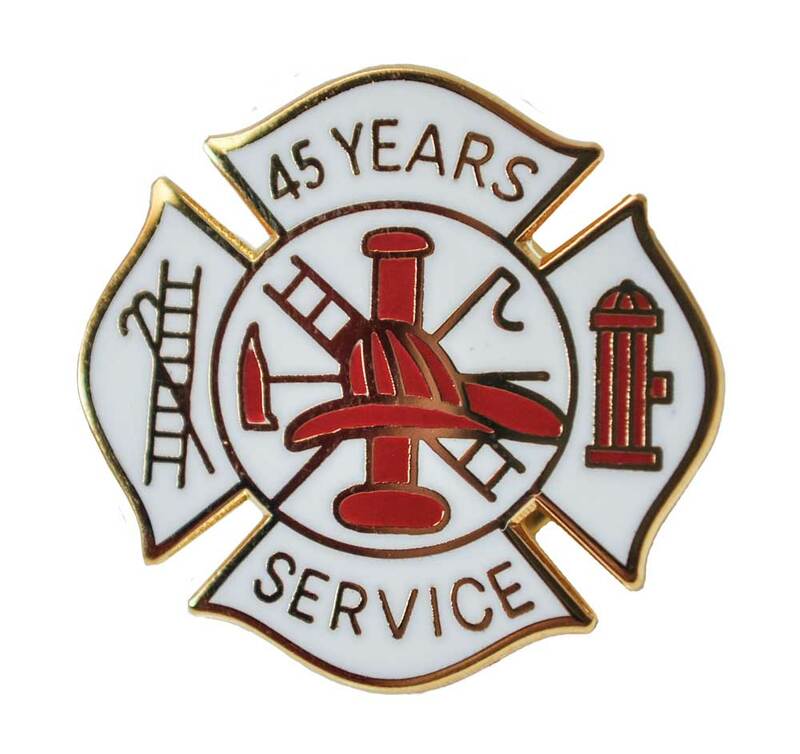 This 45 Year Fire Service pin is in the shape of a Maltese Cross with a Scramble design and states 45 Years Service in gold plating. 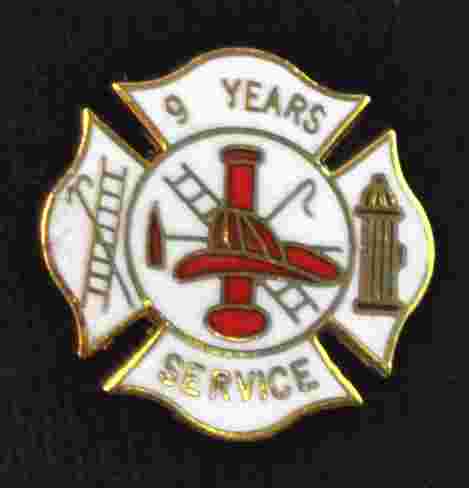 Our fire department years of service pina honors the member's hard work and dedication to the fire service. 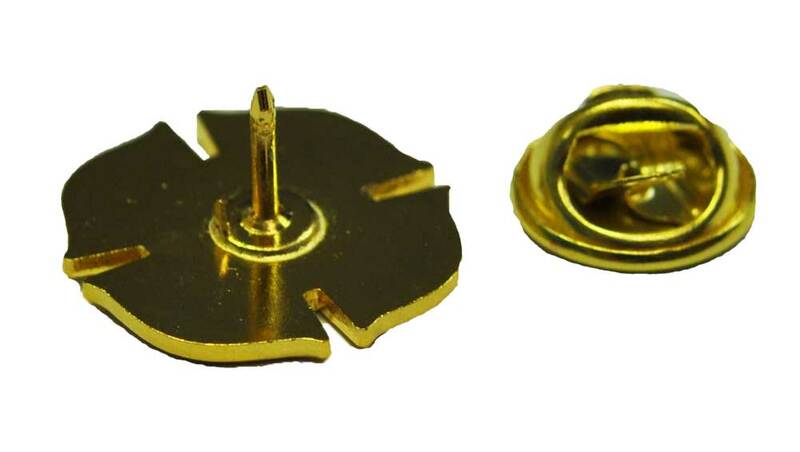 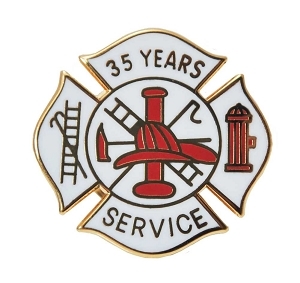 The FD service pin is the standard 3/4 inch wide by 3/4 inch tall with a single post and butterfly clasp backing. 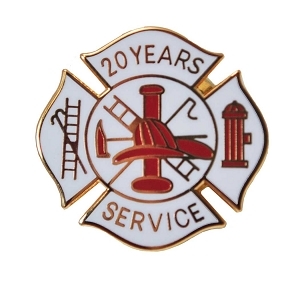 To add to the award, purchase an optional Tie Tack backing or order these to arrive in a striking presentation box. 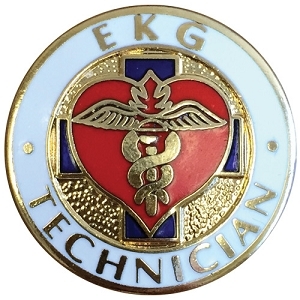 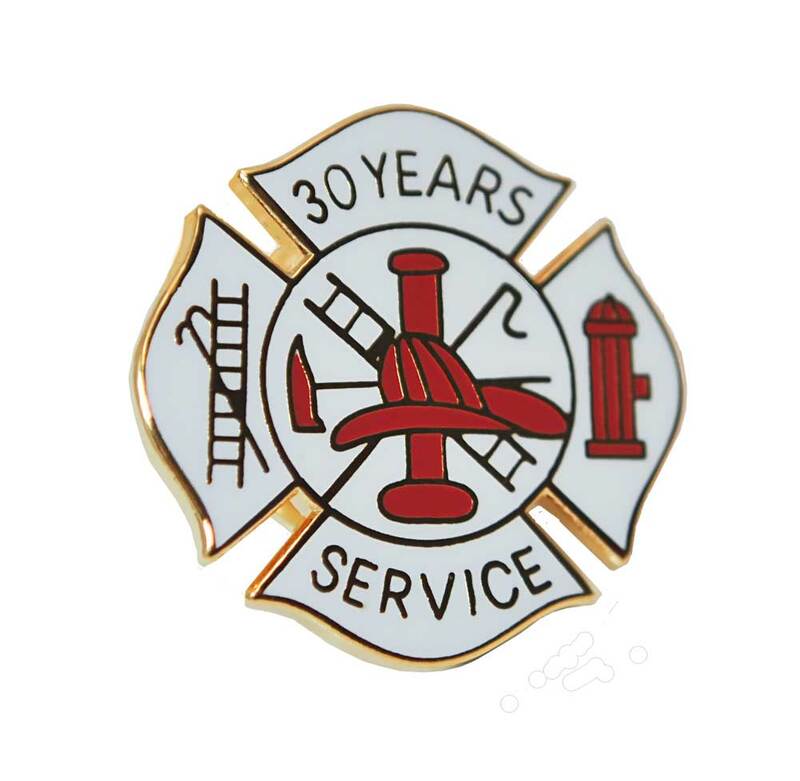 (shown to the right) Our lovely cloisonne style pin will show your firefighter's career progress. 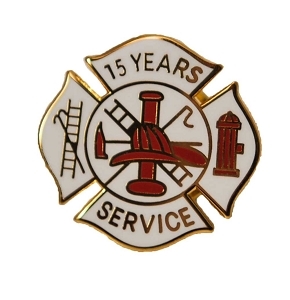 Our Fire Department Service Awards honor your Fire Department member's hard work and dedication to your Fire Company. 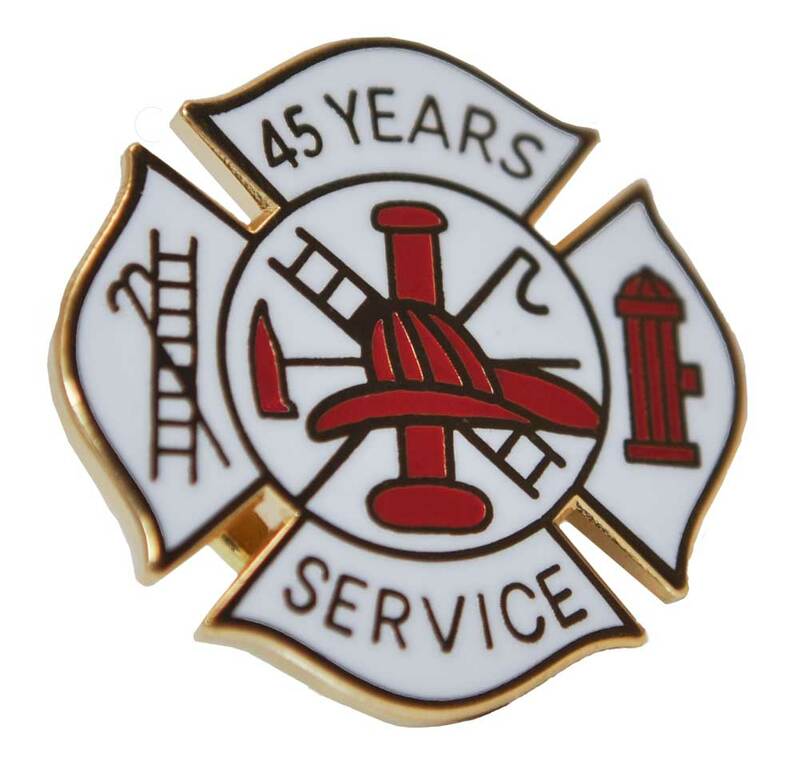 By being recognized for over four decades of fire service, this Years of Service Award will still inspire your veteran Firefighter, to continue serving your fire dept. 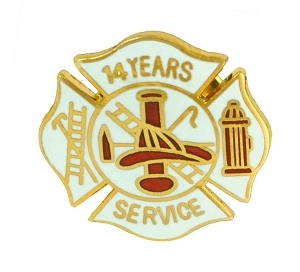 THIS VETERAN firefighter" HAS SPENT over four DECADES COMING TO THE AID OF PEOPLE IN NEED. 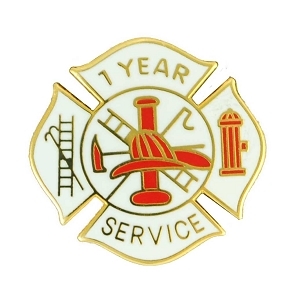 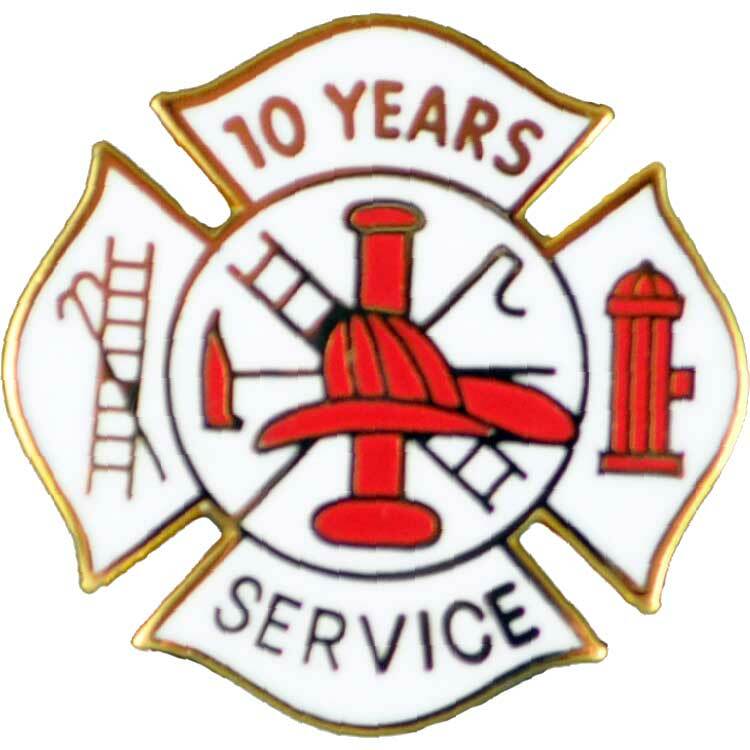 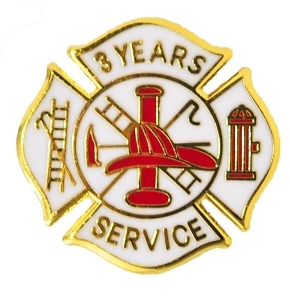 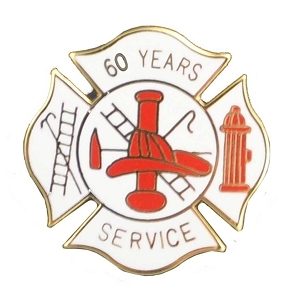 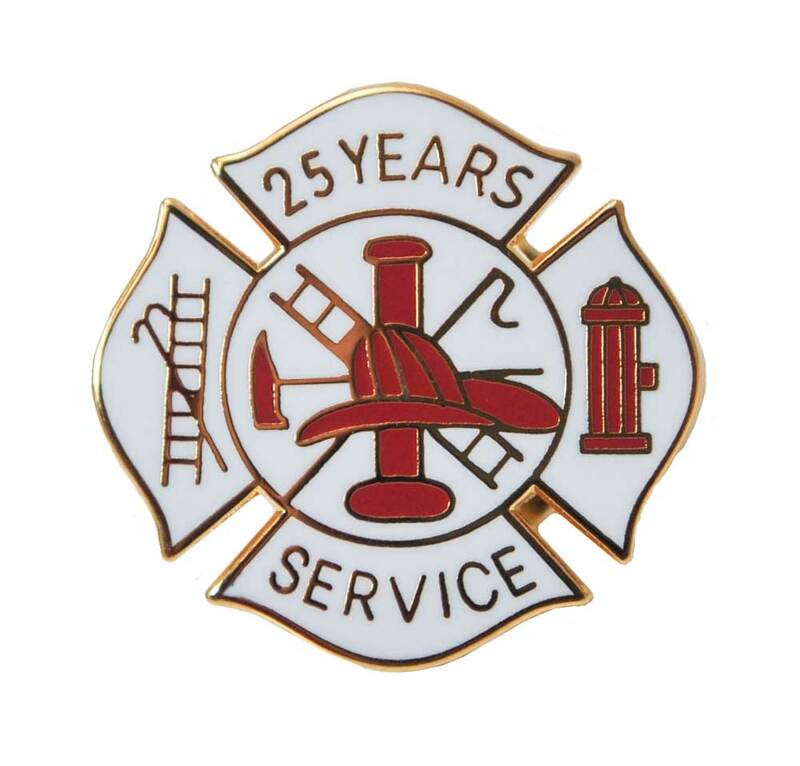 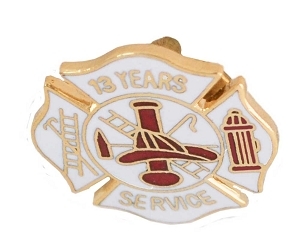 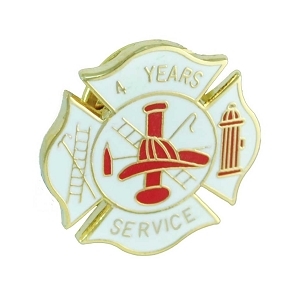 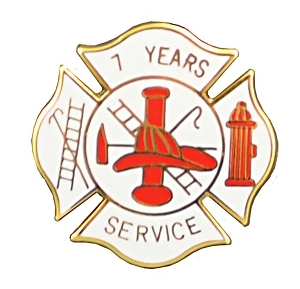 SafetyStore.com has the largest selection and inventory for Fire Department Years of Service pins anywhere. 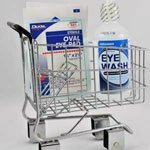 With our buying power, please take advantage of our quantity discounts and save even more. 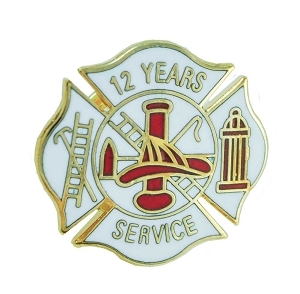 We are your one-stop shop for Fire Department Badges, Fire Patches for uniforms, Class A Uniforms, Fire Award pins,EMS Years of Service Pins and Uniform Patches, custom jackets, ballcaps and more. 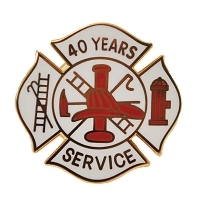 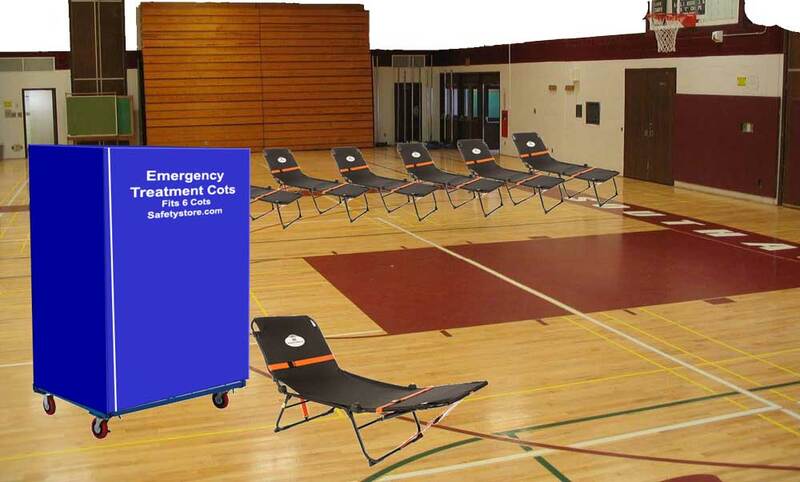 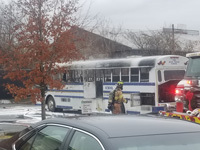 We can have your entire Fire Company looking sharp and ready to respond.